To claim this profile, please confirm you are Trendon Watford. 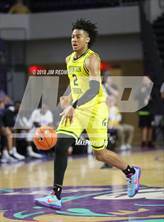 To follow this profile, please let us know your relationship to Trendon Watford. 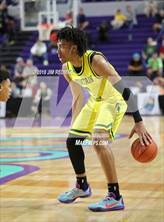 Trendon was tagged in the article "MaxPreps 2018-19 High School Boys Basketball All-American Team." Trendon was tagged in the video "Final Top 25 High School Basketball Rankings." Trendon was tagged in the article "Top 100 high school boys basketball scorers of all time." All players scored at least 3,000 points, while Louisiana places 20 on list. 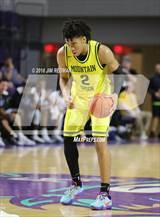 Trendon was tagged in the article "10 things to watch at the 2019 McDonald's All-American Game." Annual showcase doesn't lack for intrigue as the top prospects take flight Wednesday in Atlanta. 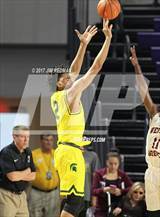 Trendon was tagged in the article "Protecting the Game: Will leaving home be the new norm for elite high school basketball prospects?." 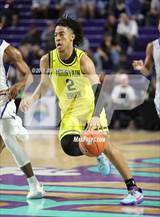 Trendon was tagged in the video "Trendon Watford highlights." Trendon was tagged in the article "Jordan Brand Classic rosters released for 18th game set for new venue." Anthony Edwards, Nico Mannion, James Wiseman headline loaded rosters for 18th annual Jordan Brand Classic. Trendon was tagged in the video "Top 25 High School Basketball Rankings." RESULTWin Boys varsity basketball vs. Baker. The Mountain Brook varsity basketball team won Saturday's neutral playoff game against Baker (Mobile, AL) by a score of 61-42. This game is part of the "2019 AHSAA Boys Basketball State Championships - Class 7A" tournament. RESULTWin Boys varsity basketball vs. Lee. The Mountain Brook varsity basketball team won Thursday's neutral playoff game against Lee (Montgomery, AL) by a score of 59-48. Trendon was tagged in the video "Watch the top players and best teams live on the NFHS Network." RESULTWin Boys varsity basketball vs. Vestavia Hills. The Mountain Brook varsity basketball team won Tuesday's neutral playoff game against rival school Vestavia Hills (AL) by a score of 57-36. RESULTWin Boys varsity basketball vs. James Clemens. The Mountain Brook varsity basketball team won Thursday's neutral playoff game against James Clemens (Madison, AL) by a score of 62-40. The Mountain Brook varsity basketball team won Saturday's home tournament game against rival school Vestavia Hills (AL) by a score of 63-36. RESULTWin Boys varsity basketball vs. Hewitt-Trussville. The Mountain Brook varsity basketball team won Thursday's home playoff game against Hewitt-Trussville (Trussville, AL) by a score of 78-51. RESULTWin Boys varsity basketball vs. Pinson Valley. The Mountain Brook varsity basketball team won Friday's home non-conference game against Pinson Valley (Pinson, AL) by a score of 101-75. 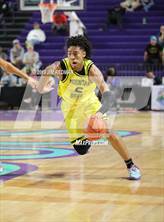 Trendon was tagged in the article "Sharife Cooper leads race for high school basketball player of the year honors." 5-star seniors Cole Anthony, Vernon Carey Jr., Nico Mannion and James Wiseman join McEachern star for consideration. RESULTWin Boys varsity basketball vs. Memphis East. The Mountain Brook varsity basketball team won Saturday's neutral non-conference game against Memphis East (Memphis, TN) by a score of 51-47. RESULTWin Boys varsity basketball @ Hewitt-Trussville. The Mountain Brook varsity basketball team won Friday's away conference game against Hewitt-Trussville (Trussville, AL) by a score of 63-39.